The Pink Sisters are a group of nuns that take a vow of silence, breaking it only once a day for the evening hymns (vespers). Their cloister just so happens to be located in a dangerous section of North St. Louis. I arrived in the dark at 5pm just in time for the vespers. After parking outside, I was met by the priest, who had the unfortunate luck of having moved to this church from his previous job in tropical St. Thomas. He first warned me about the dangers of the neighborhood. “Do you see those balloons down the block?” he said, “A 12 year old girl was murdered there yesterday. Before you step inside the church, I ask you to pray for this neighborhood.” Even though I am a Jewish/Atheist combo, I did as he asked and prayed for them before walking inside the church. 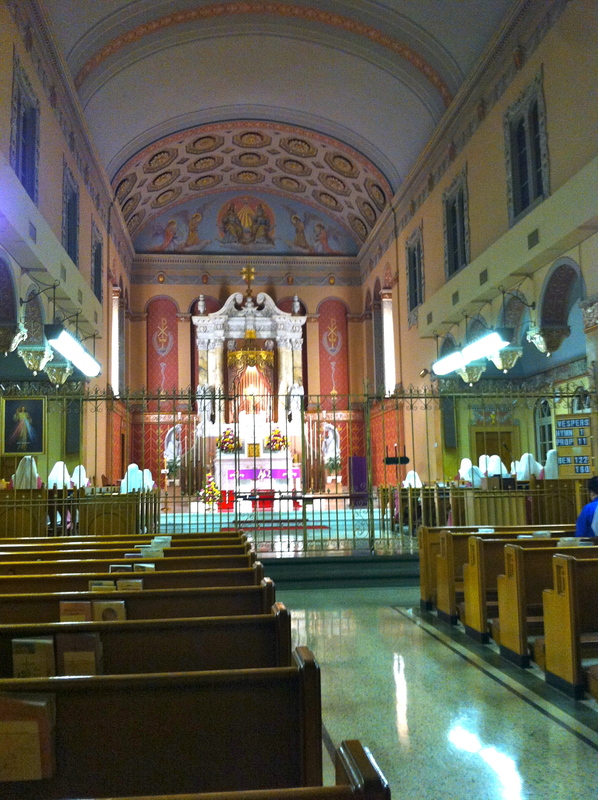 Inside the church, I felt transported far away from dilapidated North St. Louis to somewhere in Europe. The interior of the church was in beautiful shape. 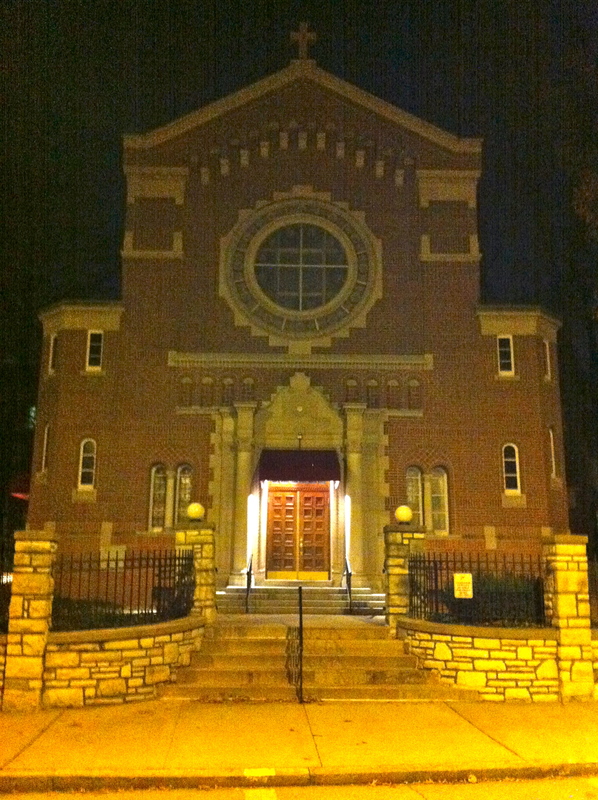 In the front pews sat the 16 Pink sisters, separated from the public by a large fence. The sisters were completely oblivious to the outside world and all its struggles and dangers. For the next 45 minutes, they sang like clockwork the eerie vespers in high soprano voices. I expected the Pink Sisters to be more songlike and more melodic, but rather the vespers sounded more like recitative opera. I felt very uncomfortable the entire time. Inside the Church. Besides myself, there were 2 other visitors. After 45 minutes, they suddenly stopped and started to clean up the church. They closed all the curtains and blew out all the candles. The entire vespers ritual felt very rehearsed and polished because they performed it once a day for as long as they have been nuns (years? decades?). While I respect the Pink Sisters for doing what they do, it seems strange to me that this peaceful microcosm can exist in such a dangerous neighborhood. I feel they could do more good for the world by participating in community service rather than praying for the world every minute of their conscious lives. They should be agents of the change they hope will occur rather than wait for God to act for them.